What can you expect after an Implant Treatment? Dental implants give you back a natural-looking smile after tooth loss. Regardless of the number of missing teeth, you will greatly benefit from an implant treatment, which will also restore the proper function of the smile. The implants also replace the lost tooth roots, and will work in stimulating the jawbone so that bone deterioration can be prevented. What can you expect after an implant treatment at Life Dental Implants? 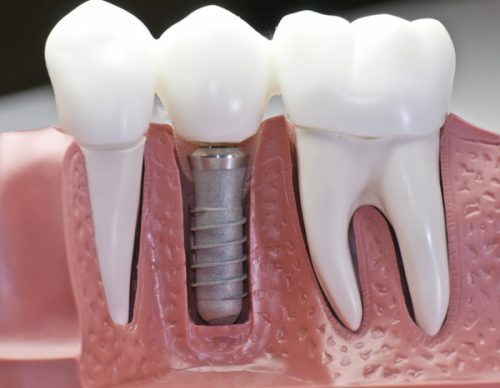 Right after the implant placement, you may experience some discomfort that naturally comes after a surgical procedure. You can ease the discomfort and recover more quickly by taking it easy – refrain from dong strenuous activities and just rest. Relaxing and not moving around too much will also help in managing the bleeding; however, you should get in touch with your dentist immediately if the bleeding continues a few hours after the implant placement. The pain can be helped by taking pain relievers, as prescribed by your dentist. You can still get nourishment after your implant procedure, but you will have to stay away from solid food items for the meantime. Immediately after the placement of implants, you can have a soft or liquid diet so the surgical area will not be disturbed by solid food items. You can rinse your mouth with warm saltwater, but avoid gargling. Follow the dentist’s instructions to have an easier recovery experience, and so you can start enjoying the full benefits of your dental implants sooner.